Whoa! Raspberry jam overload. Could use a piece of buttered toast to spread the spilt jam. 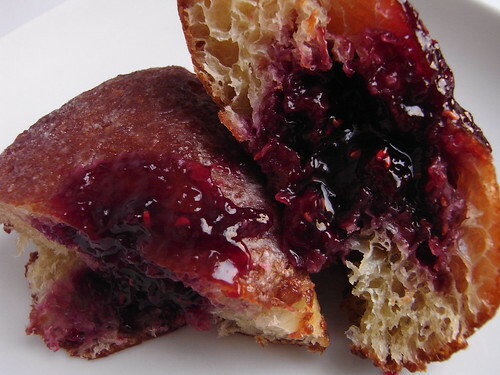 Some claim the bombolonis from Sullivan Street Bakery to be the best doughnut in the city. Perhaps when fresh from the fryer, but hard to tell when it's been sitting in Dean & DeLuca all day. Ah, that's what we kinda figured! Cream or jelly?